Billy Walters was arrested on January 19th 1985, Super Bowl Sunday, in an FBI crackdown on illegal bookmaking that saw 43 separate raids take place in 23 cities in 16 states. He was taken from his own home unexpectedly in the middle of the night and he and his wife were unceremoniously carted off to prison. 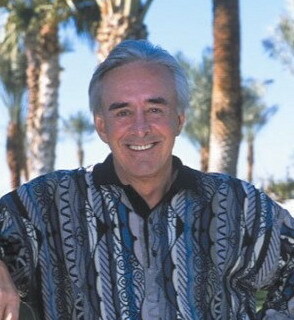 Billy Walters had been accused of running an illegal betting service in Las Vegas with ties to the mob. This would turn out to be the climax of one of the most embarrassing and expensive FBI operations in the agencies history and ruined the career of head agent Thomas Noble. Billy Walters, as it turned out, was guilty of nothing more than being a member of an extremely successful gambling syndicate known as “The Computer Group”. The Computer Group was formed in Las Vegas in 1980 by a math wizard, computer geek, named Michael Kent and a retired surgeon named Dr. Ivan Mindlin. Over the years, while Kent fed sports data into his gambling program, Dr. Mindlin recruited professional gamblers like Billy Walters to help him move the massive amounts of money that they wagered on sports every week. Back in those days the group was using computers in a way that no one had yet imagined. Kent had devised a system that analyzed every aspect of the game using hundreds of different factors, each one giving a positive or negative value. Once Kent had determined what he thought the line on a game should be The Computer Group would scour the sportsbooks to find lines on games that were significantly off from their calculations. Using this algorithmic approach to betting on sports, The Computer Group was soon taking in over a million dollars in winning wagers every week. Word of the Computer Group soon spread to bookies and law enforcement alike. The Bookies feared them and their army of beards who spread out across the US in search of weak lines and picking them off. The FBI, erroneously as it turned out, suspected them of being illegal bookmakers with a massive money laundering operation. For 5 years the legend of The Computer Group grew to mythical status. They were an unstoppable force that relentlessly crushed the sportsbooks in every major league and college sport. In 1985 the money train came to an abrupt halt. During the FBI raids hundreds of thousands of dollars were seized and ultimately never returned. The raids also blew the lid off the intricate network of beards who were making money by placing bets for the group. Ultimately this led to infighting amongst the principal players and The Computer Group disbanded. To this day individual members of the group remain some of most feared and respected gamblers in the world.